The importance of properly trimming and pruning trees is often overlooked and can be detrimental to the health of the tree if done improperly. Having a trained professional complete any necessary trimming and pruning is essential to growth and overall aesthetics of your landscape. 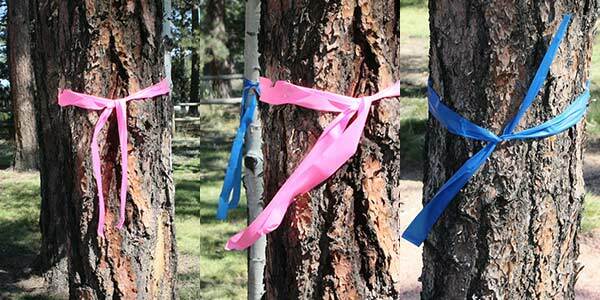 Splintered Forest utilizes colored tape for marking trees instead of spray paint. This allows for changes to be made without leaving permanent residue on the trunk. It is important that you don’t over thin a tree – it may cause the tree to have aggressive growth or the tree may slowly start to die. An ISA Certified Arborist will take into account the type, size and age of the tree in addition to any environmental factors that may have a negative impact on the health of the tree. 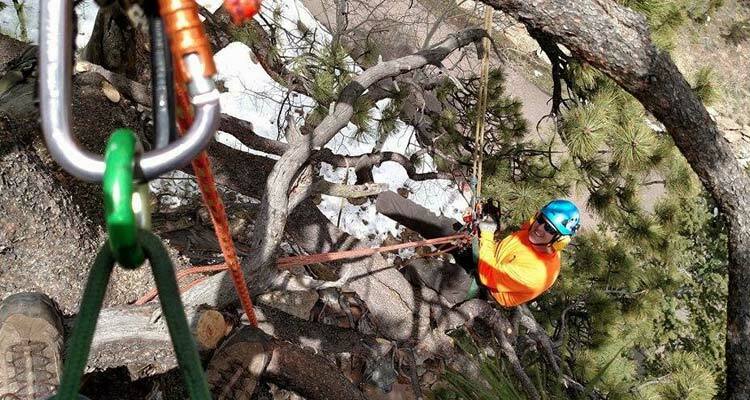 The Colorado State Forest Service (CSFS) sates that late winter (February-Early March) is the best time to prune most types of trees. Since trees are still dormant (meaning growth is halted) during these months, wounds will close quicker if pruning occurs just before the new growth starts to emerge. Although late winter is the ideal time for pruning most types of trees, this process can be done at any point during the winter as long as the tree is dormant. Should I Prune Young Trees? The short answer to this question is yes, young/newly planted trees need to be trimmed as well, but should be done conservatively. New trees need your guidance to keep them from branching out in the wrong direction and your help to remove torn/broken branches. It is also important for most young trees to maintain a single, dominant leader. Sometimes trees can develop double leaders (also known as co-dominant stems) that can lead to structural weakness so it is best to remove one while the tree is still young. Can I Top My Tree? We hear this all the time – my tree has grown too tall for our property and it is now blocking our prized view – can I just cut the top off? While the answer is yes, you can technically cut the top off your tree, the correct answer is it should be avoided. Topping a tree can cause it to become unsightly and a hazard.